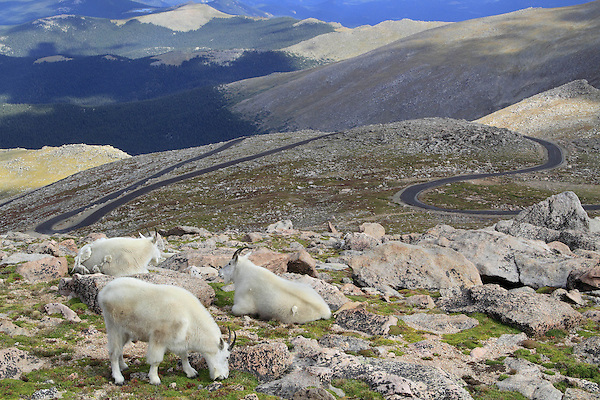 Mountain Goats graze next to the Mount Evans road, west of Denver. John leads private, wildlife photo tours to Mt Evans. Click the CONTACT button above for inquiries. . John leads private, wildlife tours throughout Colorado. Year-round.